How do I do timing on an open circuit? To do timing on an open circuit, you will need to add start and stop markers. Click on the '''More..." button. 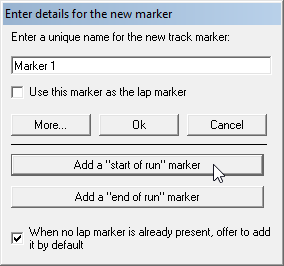 You will now be given the option to nominate the marker as the "start of run" marker. 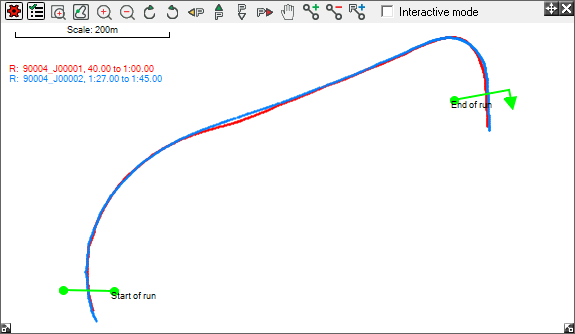 Repeat this process for the “end of run” marker. The start and end markers will be displayed in green on the track. With both markers in place, times can be read for that run.